NPK granulator machineandfertilizer blending machinex2215df6nof Henan Machinery And Equipment Company Limitedis favored by the majority of customers love, We have established long-term cooperation with many partner, compound fertilizer granulator,fertilizer making machinefrom HNMSmeet the needs of our customers. HNMSstrength,abide by contract, keep faith, take quality and credit of contract,obtained the customer trust and praise. Henan Machinery And Equipment Company Limited has been devoted to study the needs of HNMS industrial customers, ant tailored to customers demand and solutions. The advantage of HNMS lies not only in the industry-leading technology and the elite professional team, but also to provide excellent services in double roller granulator,disc granulator,rotary drum granulator,and the enthusiasm of positive innovation and faith of respect promise . 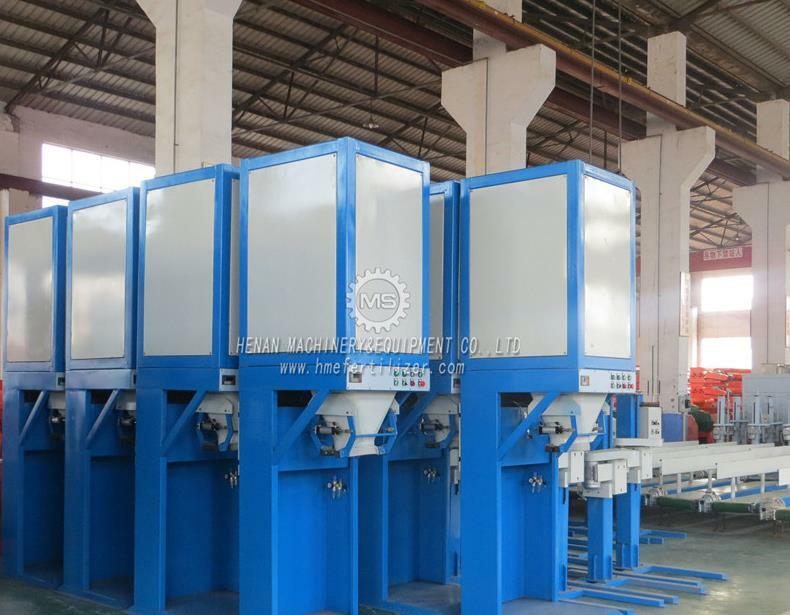 Become a customer trusted fertilizer bagging machine factory outlet integrated service providers, to help customers realize the business value of fertilizer packing machine, is HNMS unswerving mission and pursuit. Details: Fertilizer bagging machine is mainly used for automatic quantitative packaging of granular, strips, block, and granular-powder materials, such as organic fertilizer, compound fertilizer, urea, nitrogen fertilizer, phosphate fertilizer, potassium fertilizer, feed, rice, wheat, washing powder, Chinese medicine granular, melon-seed, salt, foodstuff, and hardware etc.The Fertilizer bagging machine spend less comparing with other packagers. At the same time, it has a wide application, and can be used not only in organic and compound fertilizer production line, but in other chemical industries. Compact structure, small body, can make fixed or movable body machine according to user requirements.Sealing cyclical system, preventing from flying, improving working environment, and protecting the health of staff. ?Feeding methods of powder type of equipment is the spiral feeding. Fast and slow feeding are controlled by controller and the speed can set at random.